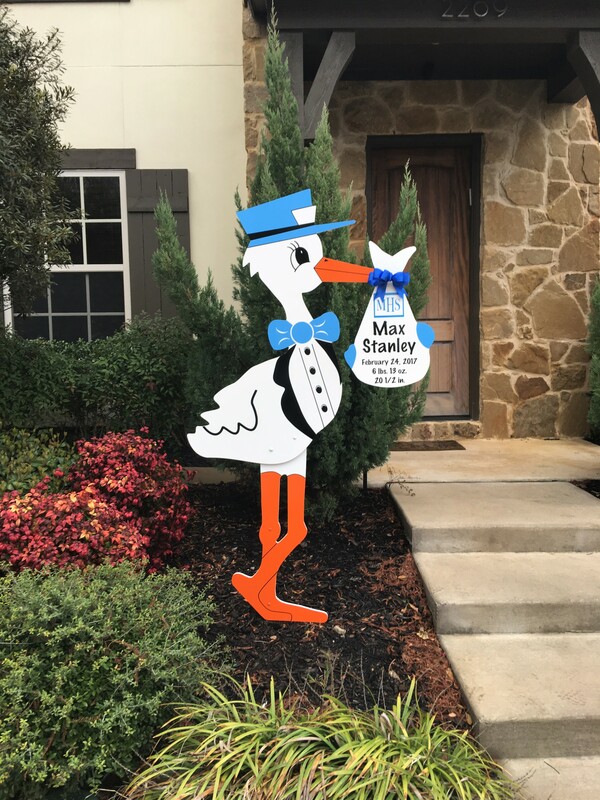 Storks & More of Dallas and Abilene proudly deliver 6-foot stork lawn signs to celebrate the birth of your new baby or grandchild in the greater Abilene & Dallas areas. 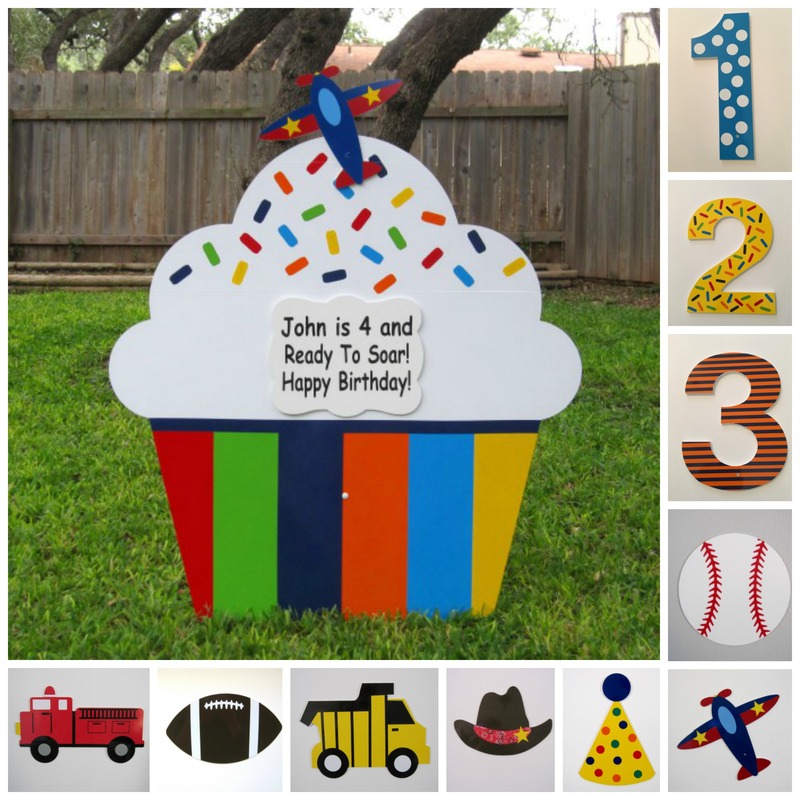 We also have custom cupcake yard signs to celebrate your favorite birthday boy or girl. We serve Abilene, The Colony, Dallas, Prosper, Plano, Frisco, Richardson, Carrollton, McKinney, Allen, Lucas, Parker, Lewisville, Rockwall, Rowlett, buffalo Gap, Tuscola, Tye and Potosi, Texas. 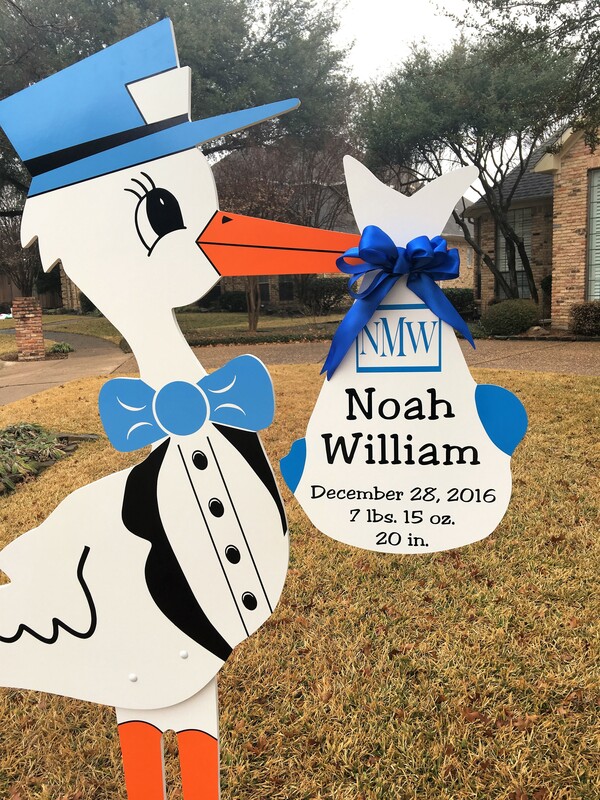 Please call us at 325-733-7300 in Abilene or 214-923-1569 in The Colony/Dallas for more information or to book your stork or birthday sign. 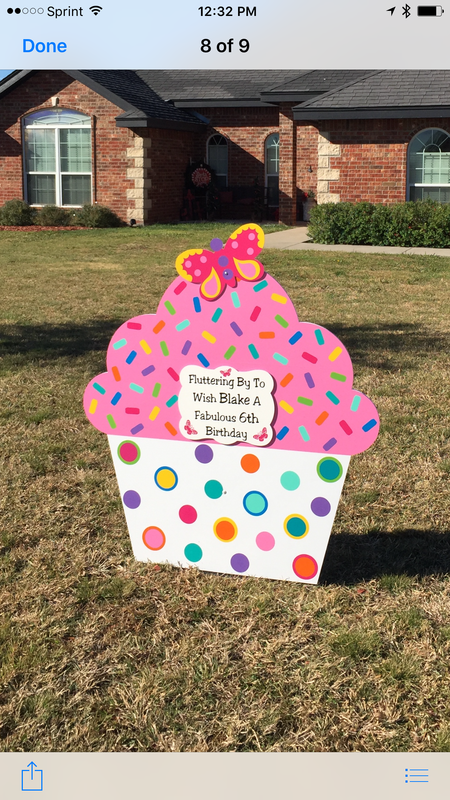 Are you looking for a stork or birthday sign rental in Abilene or Dallas, TX? 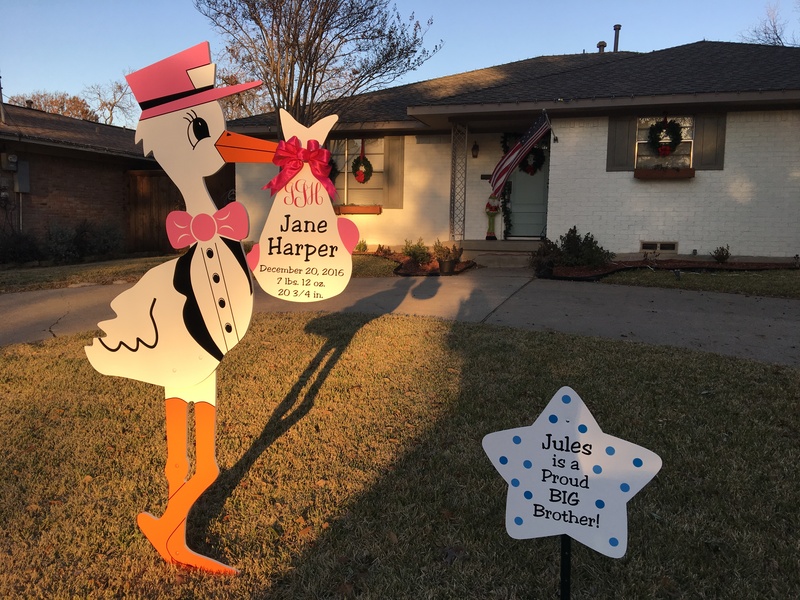 Please contact Storks & More of Dallas and Abilene at 325-733-7300 in Abilene or 214-923-1569 in The Colony/Dallas for more information or to book your stork or birthday yard sign today! Are you celebrating a special person’s birthday soon? 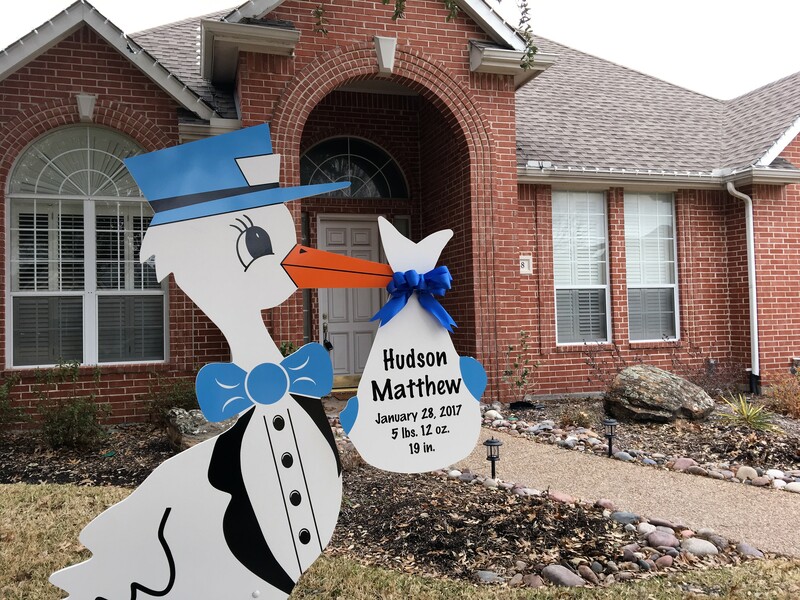 Call Storks & More of Dallas and Abilene to rent one of our 4ft cupcakes with a personalized message plaque to display in the yard! 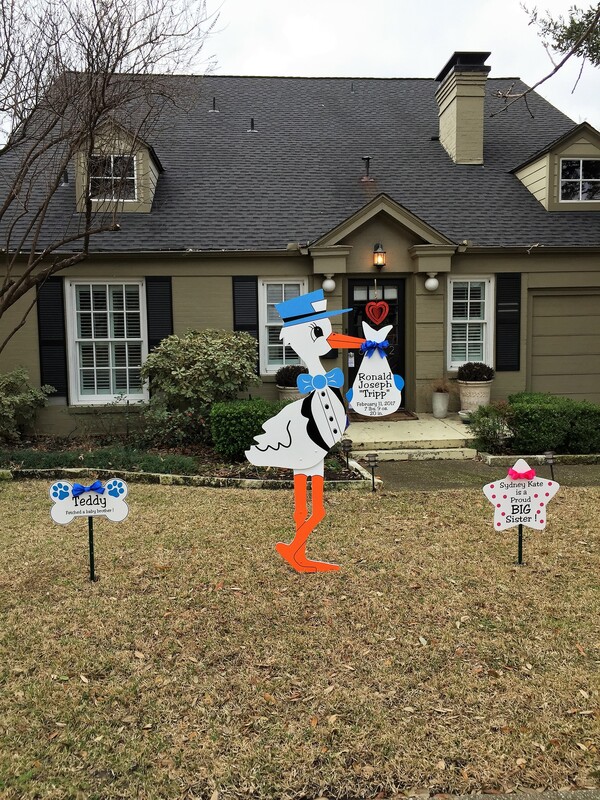 Storks & More of Dallas and Abilene has the cutest birthday lawn signs in all of Texas! 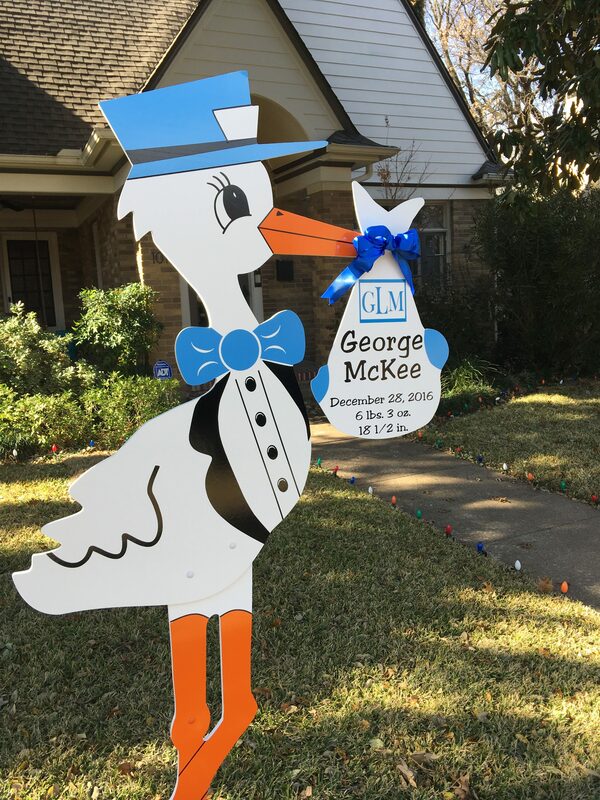 Please contact us at 325-733-7300 in Abilene or 214-923-1569 in The Colony/Dallas to rent a stork sign to welcome home your new baby or grandchild or a custom cupcake sign to celebrate a birthday in style. 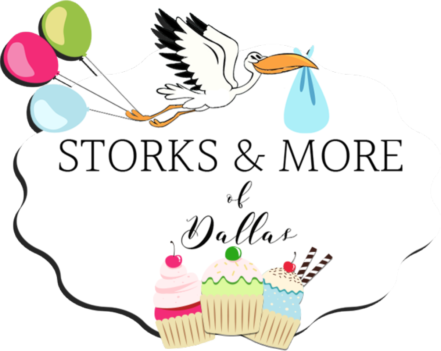 Storks & More of Dallas and Abilene has the cutest storks and birthday lawn signs in all of Texas! 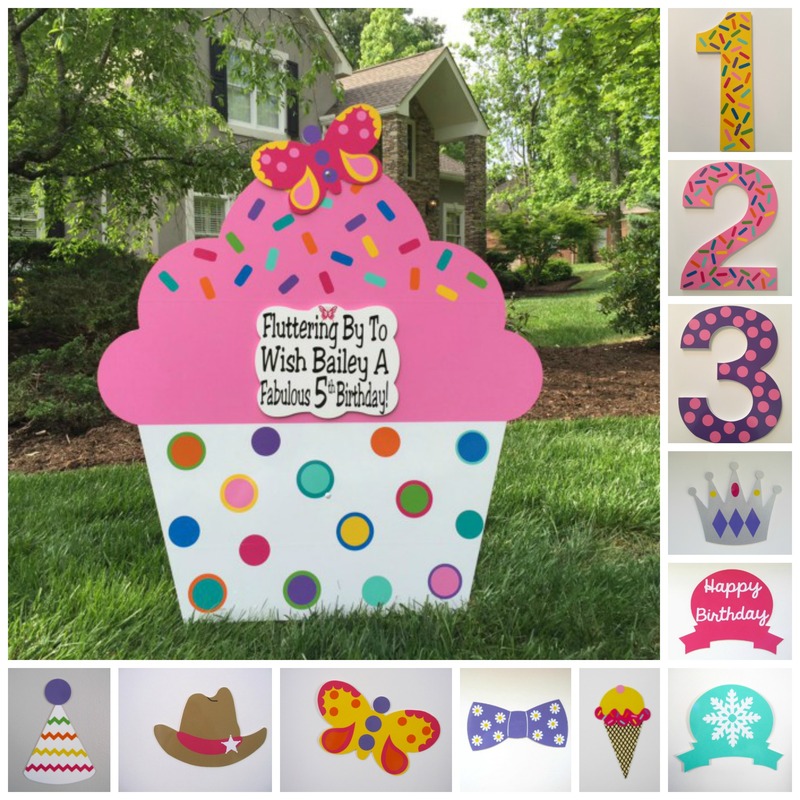 Rent a Birthday cupcake that comes with a personalized message plaque for your loved one’s birthday! Welcome Home baby Jane! Jules is now a Proud Big Brother! 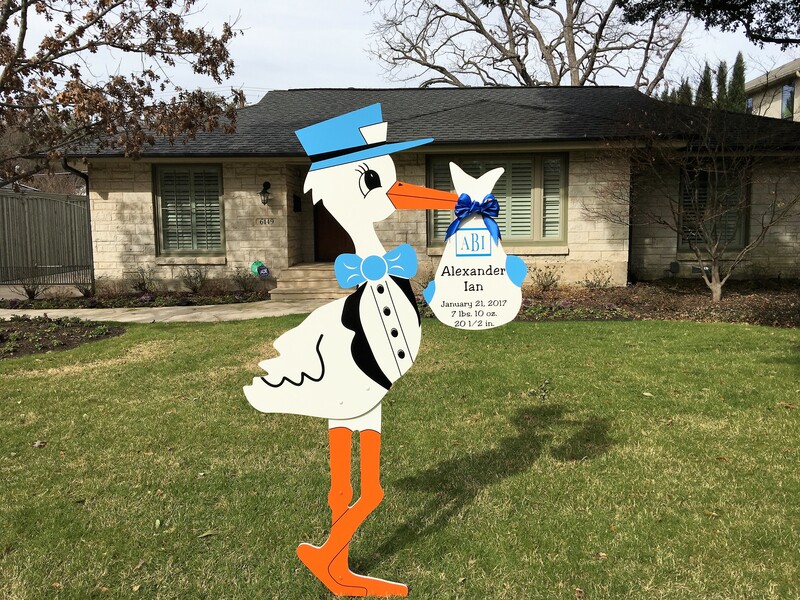 Storks & More of Dallas and Abilene rent 6-foot stork lawn signs and custom birthday cupcake signs in the greater Abilene & Dallas areas, including Abilene, The Colony, Dallas, Prosper, Plano, Richardson, Carrollton, McKinney, Allen, Lucas, Parker, Lewisville, Rockwall, Rowlett, buffalo Gap, Tuscola, Tye and Potosi, Texas.